How Many Letters in Your Name? Great activity to use when learning first and last names. 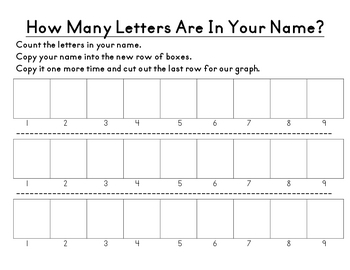 Children use this activity to practice writing the letters in their name, counting how many letters their name has, comparing names with classmates - ex: whose name is longer, shorter, the same?